In this new era of having a huge stadium, and internationally renowned manager, and players expected to get us at least a top half finish in the table, it’s sometimes difficult to remember what life was life twenty years ago under Harry Redknapp. Some of you might not even be old enough to remember Harry’s reign, with its constant relegation scraps, its hastily thrown together squads, and its edge-of-your seat transfer deadline days. Under Harry, the Hammers were usually either sublime or ridiculous. It’s those transfer deadlines days – and, to be honest, all the days the window was open in between – that we want to talk about today. Although he hates being labelled as a wheeler-dealer, and it’s a reference you should never bring up around him, he didn’t get the tag for no reason. Redknapp had – and still has – a reputation for being a man who’ll take a punt on a player at a high price and see how he turns out. He was the consummate gambler; calculating the odds and the risks as shrewdly as anybody playing the slots on games such as cleopatra, working out what he stood to win, and how he’d have to square the balance if he lost. He did, of course, have something of an advantage over your average casino punter in that it wasn’t his money he was spending, but the metaphor still stands. Looking back, here are the three strangest signings Harry Redknapp ever made for West Ham. Conventional wisdom says that you can’t go wrong by signing an international quality player on a free transfer. Conventional wisdom is wide of the park. May we present the curious case of Paolo Futre, signed on a free transfer from AC Milan in 1996. 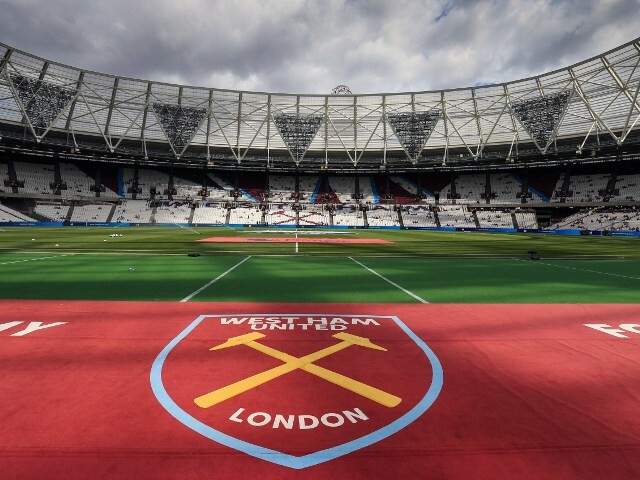 This was seen as something of a coup at the time; English football in the mid 90s was considered vastly inferior to Serie A, and the idea of a well known Portuguese international departing a European giant to come to Upton Park was unthinkable. As it turned out, Milan had very good reason for getting shot of him; his legs had more or less fallen off. Futre was crocked. He’d been a flying winger for both club and country in the late 80s, but even though he was only 30 when he arrived in London, injuries had taken their toll badly. He wasn’t even good for morale; he refused to play unless he was given the number 10 shirt, because he was a huge Maradona fan. Eventually, incumbent number 10 John Moncur was persuaded to relinquish the shirt in return for a two week stay at Futre’s private villa at home in Portugal. These days, the average West Ham midfielder could buy the entire villa with two weeks wages. We’ve come a long way in twenty years. Finally in possession of his favourite shirt, Futre took to the pitch for West Ham a total of nine times. He was useless. We released him, and he returned to Athletico Madrid, the club where he made his name. He was useless there, too. A year later aged just 31, Futre retired after an anonymous spell playing for Yokohoma Flugels in Japan. The club elected not to retire the number 10 shirt in his honour. Signing one completely ineffective foreign striker is clumsy. Signing two of them in the same season was downright reckless. Redknapp managed to do it in the 1996/1997 season all the same, though. To be fair to Harry, Răducioiu should have worked out. He was a known quantity, having impressed at the 1994 USA World Cup, and still looked decent in a poor Romania team at Euro 96. West Ham needed a reliable goalscorer, and Răducioiu fit the bill perfectly. Unfortunately, whilst Florin may have had all the natural talent he’d need to succeed, his attitude left a lot to be desired. On the eve of a major game against Manchester United, he was pictured shopping in Harvey Nichols and living the high life when he should have been back at the hotel taking it easy. Redknapp took a dim view of that, and dropped him. He’d never find his way back into the team, suffering the indignity of watching from the bench whilst journeyman Iain Dowie played in his position. Redknapp would later go on to say that Răducioiu got his first name ‘Florin’ because he was ‘worth about two bob’ – a reference to old English currency. By January, he’d been shipped off to Espanyol in Spain, leaving Redknapp with egg on his face, and the club in dire straits. Defender Julian Dicks finished the season as the club’s top scorer. Dicks is a legend, no doubt, but when your left back is providing most of your goals, you’re in a dark place. No prizes for guessing this man was going to make an appearance in this article. Whenever anyone compiles a list of the worst Premier League players of all time, Marco Boogers is guaranteed to make an appearance. These days, when a club signs a striker, you’d expect the decision to come after an extended period of scouting, and detailed analysis. In 1995, Redknapp signed Boogers after watching one video of him playing. These were the days before YouTube, so we’ll never know what he saw, but it convinced him to part with £1m for the Dutch striker’s services. Whilst that might seem like a paltry sum now, in 1995 the British transfer record was the £5m Blackburn Rovers paid for Chris Sutton. £1m was still a lot of money. Boogers marked his second West Ham appearance by being sent off after four minutes for a waist-high tackle on Manchester United’s Gary Neville. Certain elements of the crowd found this amusing, but the resulting four game ban was much less funny. Marco, apparently depressed at making a poor start to his West Ham career, went home to the Netherlands for a few days, where a rumour circulated that he was in hiding and living in a caravan. 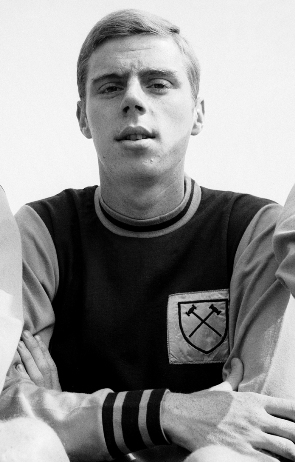 Ridiculed in the press, and with his manager furious, Boogers’ time at the Hammers was over before it had every really started. He remained technically under contract for a further three years, but only made another two substitute appearances before being sent away to see out his contract on loan with various Dutch clubs. His goal to game ratio elsewhere suggests that he may have had talent; sadly we just never saw it. Have we missed anyone? Can you think of any worse offenders than these three disastrous strikers? Let us know in the comments!